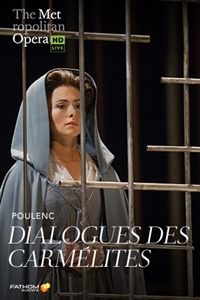 Synopsis: Fathom Events and the Metropolitan Opera present a broadcast of Poulenc's Dialogues des Carmélites, live in select cinemas nationwide on Saturday, May 11. Met Music Director Yannick Nézet-Séguin leads an accomplished ensemble in Poulenc's devastating modern masterpiece of faith and martyrdom. Isabel Leonard is the young Blanche de La Force, opposite Met legend Karita Mattila as the First Prioress.